You are currently browsing the tag archive for the ‘conservation agriculture’ tag. Last month, the article, “Productivity limits and potentials of the principles of conservation agriculture,” published in Nature by Pittelkow, C. et al. generated great interest and controversy in the scientific and farming community alike. The study, which conducted a global meta-analysis using 5,463 paired yield observations from 610 studies compared no-till, one of the pillars of conservation agriculture, with conventional tillage practices across 48 crops and 63 countries, and found that no-till reduces yields. The article also revealed that combining no-till with the other two conservation agriculture principles of residue retention and crop rotation, minimized its negative impacts and in rainfed and dry climates crop productivity was significantly increased with no-till, suggesting that it may become an important climate-change adaptation strategy for ever-drier regions of the world. The full article can be found here. The CA Cornell Group was contacted by several CA experts who were looking to find an outlet for their insight on the findings of the Nature article, and their viewpoints are featured here. 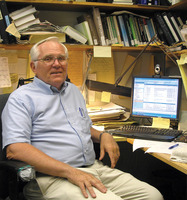 Don Reicosky is a soil scientist emeritus of the USDA Agriculture Research Station and has won international recognition for his ground-breaking work on tillage-induced carbon dioxide loss, carbon sequestration, and other related research. 1. Too much emphasis on no-till: Is it the most important principle? The authors place undue emphasis on no-till and equates no-till with CA. Only by addressing all the principles of conservation agriculture will no-till be a successful system. The authors describe no-till as the original and central concept of conservation agriculture, which it was, but over 30 years ago. More farmer experience has discovered that continuous crop residue cover is more important than minimum soil disturbance. In fact, there are three factors of equal weight in conservation agriculture that must be evaluated in a balanced analysis: a) continuous crop residue cover; b) absolute minimum soil disturbance; and c) diverse crop rotations and, if used, multiple species of cover crops for maximum photosynthesis and capture of carbon to nurture the living biological system. One concern is related to the “tillage terminology dilemma”. Many research articles in the previous 40 years did not explicitly describe the amount of soil disturbance in the no-till system. To some, no-till simply means no plow. To others, the terms of minimum tillage, mulch tillage, reduced tillage, strip tillage, rotational tillage, vertical tillage, disc tillage, rotary tillage, ridge tillage, chisel tillage, conservation tillage, etc., can be lumped into the category of no-tillage. The definition of conservation tillage with a minimum of 30% residue cover is not the same as CA. As a result of this confusion, there was no way for the authors to differentiate between the studies that met the “minimum soil disturbance” criteria in CA. Comparison of productivity: Maize cultivated under conventional vs. CA system. Picture credited to IFAD. 3. Wait for longer term benefits. Though the authors do separate their data based on the duration of no till, they do not discuss the relatively large number of research reports with only two or three years of data. However it has been shown that long-term benefits of No-Till take a minimum of two or three years to have tangible benefits. Part of this is learning to work with the complexities of nature and the time required for the biological system to adjust to the changes in management. Additionally, the study included few research reports with more than 10 years of data. The authors do acknowledge that the yields of no-till increase with greater than 10 years of No-Till. It is important to recognize the “publish or perish” pressure for promotion on scientists doing no-till research, which can reduce the number of years of study and bias experiments against longer term trials. Longer term trials are also mostly done on experiment stations and these don’t always represent actual farmer situations. 4. Beyond yields: What about the sustainability benefits of CA? Unfortunately, the authors only focus on yield differences between the two different systems. Yes, yield is the primary output commodity from CA systems. However, we need to consider the long-term positive economic, environmental, social, cultural, and policy dimensions of the CA system as opposed to the corresponding negative attributes of conventional agriculture/inversion tillage. The authors chose to ignore all the other additional ecosystem services provided by the conservation agriculture system that are negatively affected and exacerbated by conventional tillage systems. We recognize that conventional tillage systems and the associated soil loss and degradation are not a sustainable system for future generations. Thus it becomes important that we understand all of the benefits of conservation agriculture, not just the yield impacts. Also what alternatives are there if the present system leads to soil degradation and a non-sustainable system? 5. Farm profit versus yield as an indicator of potential? CA info graphic from IFPRI. Economics is not addressed. Yield is not absolute: profit is more important for farmers and for true sustainability. The authors place too much emphasis on yield differences and fail to mention anything about the economic differences between CA systems and conventional systems. They completely ignore the large fuel savings and lower carbon footprint associated with the CA system relative to the conventional system. While there may be some question about the quantitative impact of conservation agriculture on carbon sequestration, there are other ecosystem services that overshadow this one aspect. In addition, some scientists believe carbon cycling is more important than carbon sequestration in agricultural production systems. It is more important to recycle the carbon within agricultural systems to maintain food security than it is to sequester the carbon and make it unavailable to the soil biology so critical in maintaining nutrient availability and cycling. Unfortunately we do not have simple means to estimate the economic benefits of ecosystem services like minimizing soil erosion, improvement in water quality, and all the other ecosystem services enhanced by conservation agriculture. Why are the yields from large field, on-farm research studies as good as or better than inversion tillage agriculture on large fields, but not on small research plots? What type and how much more detail do we in the scientific community need to accurately characterize CA research methods and materials to enable us to compare “apples to apples, not apples to oranges”? What can we do to learn from and better understand the historical results of the last 40-50 years of research to continue the development and improvement of sustainable agriculture production systems? Check out our Scoop-it Newsletter, where we have compiled a special issue of scientific articles relevant to this blogpost. What do you think? Please feel free to comment or ask questions and CA experts Don Reicosky and Peter Hobbs will reply! The UN Environment Programme just released the Year Book 2014 emerging issues update, a special e-book edition ten years after the first Year Book in the series. The 2014 Year Book presents ten environmental issues of the last decade, and highlights the challenges and solutions related to each one. Three of the emerging environmental problems are particularly relevant to conservation agriculture and demonstrate the important role that CA can play in modern agriculture. The global nitrogen cycle has been greatly modified due to the excessive use of inorganic nitrogen. The amount of usable nitrogen created by humans is now greater than the amount produced through natural processes, and nitrogen is overloading natural systems. Excess nitrogen negatively contributes to ecosystem services, air and water pollution, global climate change, coastal dead zones, and biodiversity loss. Practices of inefficient and over-application of nitrogen in agriculture are responsible for much of global nitrogen pollution. The chapter focuses on the increased coastal dead zones and climate change impacts caused by excess nitrogen. Dead zones, which occur when fertilizer run-off creates algal blooms, have doubled in each of the last four decades. Nitrous oxide (N20) emission are increasing globally. N20 is 300 times more effective at trapping heat than carbon dioxide, making it a powerful greenhouse gas. Any effective climate change mitigation will focus on the reduction of nitrous oxide emissions. Conservation agriculture practices greatly reduce nitrogen losses through soil runoff. Soil nutrient supplies and cycling are enhanced by the biochemical decomposition of organic crop residues at the soil surface. This reduces nitrogen leaching through both the air and water. Soil fertility is built up over time under conservation agriculture, so fewer fertilizer amendments are required to achieve optimal yields. This is especially true for nitrogen, because the use of leguminous cover crops can satisfy much of the nitrogen needs of primary food crops. All of these soil management practices directly improve plant nitrogen uptake, significantly reduce the amount of inorganic nitrogen fertilizer applied, and consequently minimize excess nitrogen pollution. Citizen science is when people who are not professional scientists participate in any of the following: collection and analysis of data, development of technology, testing of natural phenomena and dissemination of the results of activities. Citizen science raises awareness, informs policy decisions, widens researchers perspectives, and makes science more relevant to the world’s problems. Conservation agriculture has been taking advantage of citizen science since its conceptualization. Farmers and farmer associations pioneered CA systems. A participatory approach to local adaptation of CA principles is often used in its promotion. This approach has achieved success throughout Latin America and is beginning to reap rewards in Africa. Global progress of CA has relied on the innovation of farmers for development of new direct-seeding equipment, cover crops, and pest/weed management strategies. Soil carbon is crucial for maintaining the world’s climate and ecosystem services. Agricultural intensification is the main source of the soil carbon losses in the last 25-years that have reduced the agricultural productivity of 25% of global land area. Besides reducing soil fertility, carbon losses accelerate global climate change. Improved land management is vital for reducing soil carbon losses. Soil carbon loss is associated with tillage, which causes soil aeration and soil aggregate destruction that increases the decomposition of soil organic carbon. Consequently, tillage reduces organic matter of intensively cultivated soils and contributes to C02 emissions. The chapter specifically mentions conservation agriculture as an effective methodology to increase carbon inputs to agricultural soils and reduce carbon losses, and directs readers to a link on CA in Malawi and Zambia. The three principles of CA help to keep the positive balance between carbon input and carbon outputs. Keeping crop residue on soil builds soil carbon stocks, while minimum soil disturbance and permanent soil cover reduces soil carbon loss to the atmosphere. The extent that CA can increase soil carbon sequestration depends on soil type and climate. Conservation agriculture, like any agricultural methodology, must be adapted to local environmental and socio-economic conditions. It is not a silver bullet solution to the problems facing modern agriculture, but it is one of the better alternatives available. With growing urgency to address issues like nitrogen overloads and soil carbon loss, CA emerges at the forefront of international agriculture policy and research. Recent and Upcoming International Conservation Agriculture Conferences! Farmers, researchers, policy makers, and proponents of CA from around the world will converge for the Conference on Conservation Agriculture for Smallholders (CASH) in Asia and Africa occurring in Mymensingh, Bangladesh from 7-11 December 2014. The focus on smallholder farmers is necessary, especially given the possibility for marginalization of this demographic’s interests in conferences with large agribusiness participation. We are excited to announce that the Program Director of our CA website, Peter Hobbs, will be giving a keynote address for the Conference. The conference will play an important role in bringing together practitioners advancing the uptake and development of CA for small farmers. The current status of CA for smallholders will be discussed, and participants will establish connections for al stakeholders involved in spreading CA to smallholder farmers. Four themes will be discussed during the conference: 1) machinery, 2) weed management, 3) soil, water and agronomy, and 4) commercialization adoption and continuous improvement of CA-based technologies. The presentations will be accompanied with field visits, including one to the demonstration exhibit at the Bangladesh Agricultural University. Attendees will be given the opportunity to talk to CA leaders (producers, advisors, researchers, policy makers and industry), network with peers around the world, engage in policy discussion, and learn about the latest research. Registration ends on August 31st. Click here to register or read more about the program. 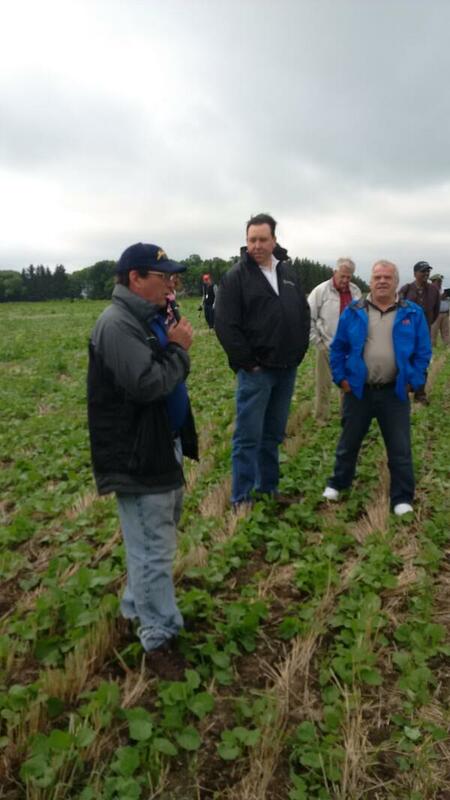 The WCCA took place in Winnipeg, Canada from June 22-25, and was attended by farmers, researchers, agriculture company representatives, government representatives, and other participants interested in CA. Full conference proceedings can be found here. The gathering provided these stakeholders an opportunity to exchange new innovative technologies and practices, research findings, obstacles and opportunities of conservation agriculture. Over 300 people participated, representing 47 countries, including England, France, Italy, Argentina, Brazil, Tunisia, Tanzania, India, and China. Two representatives of the Cornell University Conservation Agriculture group attended. Highlights included our website sponsor, Howard Buffet, giving a keynote speech. He expressed concern that U.S. agriculture is not conforming to sustainable environmental practices, citing subsidies and farmers’ resistance to changing their practices as a cause. This could lead to producers falling behind other major agriculture exporters, such as Argentina and Brazil. He also recognized that the application of CA must be adapted to local conditions, with a balance between public and private involvement. Read more about Howard Buffet’s speech here. Another feature of the conference was the release of the Soil Renaissance Strategic Plan released. The SRSP prioritizes educating the public on the tremendous importance healthy soils have to the future of civilization, and the precarious position the world’s soils are in at the moment. This “reawakening” will include focus on four different areas: measurement, economics, education, and research. Read more about SRSP here. The 1st Africa Congress on Conservation Agriculture (ACCA) took place in Lusaka, Zambia from March 18-21, 2014. Its objective: to provide an opportunity to share experiences and exchanges between stakeholders in CA and raise awareness and promote adoption of CA as a way to farm sustainably and productively. It drew over 400 participants from 42 different countries. A highlight of the Congress was a declaration that called for national and international support the spread of conservation agriculture to at least 25 million farmers across Africa by 2025. The rationale behind this declaration was CA’s role as a climate-friendly technology that can raise crop yields and lower environmental degradation. The declaration describes CA as one of the best options available to farmers that improves food security, farm profitability, and farmer livelihoods. Farmers participating in the conference reinforced this claim with personal stories about their successes after implementing CA. The goal of converting 25 million farmers to CA seems lofty, given that less than one million of Africa’s one hundred million farmers are currently practicing CA. However interest in CA has increased notably within the last decade and CA is expected to be a major contributor to the goal of 6% annual growth in the agriculture sector (which employs 80% of the population) set by the Comprehensive African Agriculture Development Programme. The declaration identified the steps needed to improve CA’s adoption rate, including investment in education, training, science, and extension. Click for more information on the 1st ACCA. The following comments have been made regarding the recent paper published by Ken Giller. Ken E. Giller, Ernst Witter, Marc Corbeels, Pablo Tittonell. 2009. Conservation agriculture and small holder farming in Africa: the heretics view. Field Crops Research 114 (1) 23-34. The debate resulted in a number of excellent comments that we would like to share through this blog. I am managing this debate by listing word for word the comments made so far. Hopefully this will be an educational and constructive debate. I have not changed or edited any comment. I encourage any one with thoughts on this subject to submit a comment by inserting it at the bottom of this list of thoughts.